Diogo M.F. 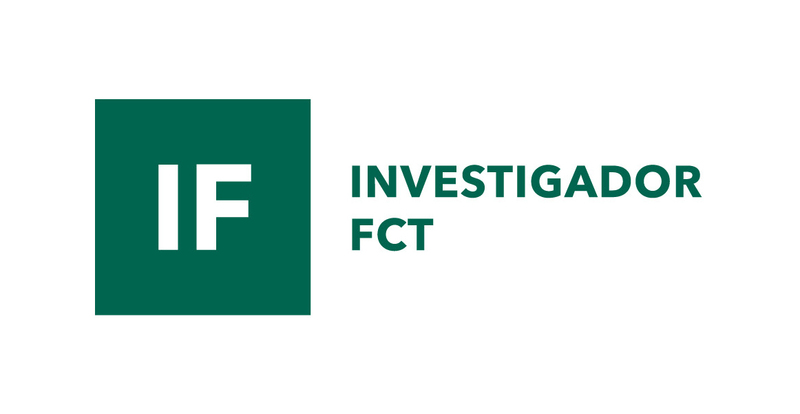 Santos currently works in Instituto Superior Técnico (IST, Universidade de Lisboa) in the Center of Physics and Engineering of Advanced Materials (CeFEMA) with an Investigador FCT position (contract no. IF/01084/2014/CP1214/CT0003 under IF2014 Programme), studying low-cost electrocatalysts for application in liquid fuel cells. D.M.F. 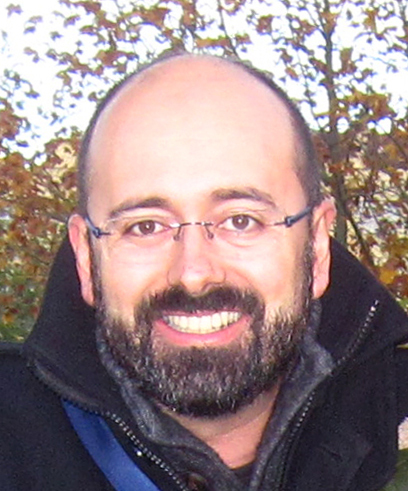 Santos was born in Torres Vedras, Portugal, in 1977 and graduated in chemical engineering at IST in 2001. He received a M.Sc. degree in 2006 and a Ph.D. degree in electrochemistry in 2009. His Ph.D. thesis was devoted to the development of the direct borohydride fuel cell. He did a 3-year post-doc in Chemical Engineering in FEUP (Porto University) and IST studying new electrocatalytic materials for hydrogen production by alkaline water electrolysis. Afterwards he did a 2-year post-doc in Materials Science & Engineering developing electrodes for direct borohydride fuel cells in IST and CICECO (Aveiro University) D.M.F. Santos has authored over 90 journal papers and 70 conference proceedings. He has presented over 30 oral communications and 50 posters in international conferences. He is a member of several renowned international societies and serves as a reviewer for many scientific journals. He is the Editor-in-chief of Science and Technology of Materials (Elsevier). His main research interests are related to electrochemical energy conversion and storage. Prospective PhD students/Postdoc researchers interested in working in the field of electrochemical energy conversion (e.g., direct liquid fuel cells, electrolytic hydrogen production) or electrochemical wastewater treatment may reach me directly at diogosantos@tecnico.ulisboa.pt. Presently working in CeFEMA in the development of low cost cathode electrocatalysts for direct borohydride fuel cells. Editor-in-chief of Science and Technology of Materials (Elsevier) since 2015. Electrochemistry; Low-temperature fuel cells; Electrochemical engineering; Hydrogen storage materials; Direct borohydride fuel cells; Direct alcohol fuel cells; Water electrolysis for hydrogen production; Electrochemical wastewater treatment. 90. “Mn2O3-MO (MO = ZrO2, V2O5, WO3) supported PtNi nanoparticles: Designing stable and efficient electrocatalysts for oxygen reduction and borohydride oxidation”, M. Martins, J. Milikić, B. Šljukić, G.S.P. Soylu, A.B. Yurtcan, G. Bozkurt, and D.M.F. Santos, Microporous and Mesoporous Materials, Vol. 273, 286-293 (2019). 89. “Towards tailoring of electrolyte additives for efficient alkaline water electrolysis: salicylate-based ionic liquids”, L. Amaral, J. Minkiewicz, B. Šljukić, D.M.F. Santos, C.A.C. Sequeira, M. Vranes, and S. Gadzuric, ACS Applied Energy Materials (in press) (2018). 88. “Electrochemistry of hydrogen evolution in RTILs aqueous mixtures”, L. Amaral, D.S.P. Cardoso, B. Šljukić, D.M.F. Santos, and C.A.C. Sequeira, Materials Research Bulletin (in press) (2018). 87 “Platinum/polypyrrole-carbon electrocatalysts for direct borohydride-peroxide fuel cells”, R.C.P. Oliveira, J. Milikić, E. Daş, A.B. Yurtcan, D.M.F. Santos, and B. Šljukić, Applied Catalysis B: Environmental, Vol. 238, 454-464 (2018). 86. “On the stability in alkaline conditions and electrochemical performance of A2BO4-type cathodes for liquid fuel cells”, D.S.P. Cardoso, B. Šljukić, N. Sousa, C.A.C. Sequeira, F.M.L. Figueiredo, and D.M.F. Santos, Physical Chemistry Chemical Physics, Vol. 2018, 20, 19045-19056 (2018). 85. “Performance assessment of a direct borohydride-peroxide fuel cell with Pd-impregnated faujasite X zeolite as anode electrocatalyst”, R.C.P. Oliveira, M. Vasić, D.M.F. Santos, B. Babić, R. Hercigonja, C.A.C. Sequeira, and B. Šljukić, Electrochimica Acta, Vol. 269, 517–525 (2018). 84. “Vine shoots and grape stalks as carbon sources for hydrogen evolution reaction electrocatalyst supports”, J. Cardoso, B. Šljukić, M. Erdem, C.A.C. Sequeira, and D.M.F. Santos, Catalysts, Vol. 8, 2, 50 (2018). 83. “Chronoamperometric and chronopotentiometric investigation of Kraft black liquor”, R.C.P. Oliveira, M. Mateus, and D.M.F. Santos, International Journal of Hydrogen Energy, Vol. 43, 35, 16817-16823 (2018). 82. “Monodisperse Pd nanoparticles assembled on reduced graphene oxide-Fe3O4 nanocomposites as electrocatalysts for borohydride fuel cells”, M. Martins, Ö. Metin, M. Sevim, B. Šljukić, C.A.C. Sequeira, T. Şener, and D.M.F. Santos, International Journal of Hydrogen Energy, Vol. 43, 23, 10686-10697 (2018). 81. “PtNi supported on binary metal oxides: potential bifunctional electrocatalysts for low-temperature fuel cells?”, M. Martins, B. Šljukić, C.A.C. Sequeira, G.S.P. Soylu, A.B. Yurtcan, G. Bozkurt, T. Şener, and D.M.F. Santos, Applied Surface Science, Vol. 428, 31-40 (2018). 80. “Efficient hydrogen evolution electrocatalysis in alkaline medium using Pd modified zeolite X”, M. Vasić, M. Čebela, I. Pašti, L. Amaral, R. Hercigonja, D.M.F. Santos, and B. Šljukić, Electrochimica Acta, Vol. 259, 882–892 (2018). 79. “Au nanoparticles modified Co/titania nanotubes as electrocatalysts for borohydride oxidation”, A. Balčiūnaitė, L. Tamašauskaitė-Tamašiūnaitė, D.M.F. Santos, A. Zabielaitė, A. Jagminienė, I. Stankevičienė, E. Norkus, Fuel Cells, Vol. 17, 5, 690–697 (2017). 78. “Organic electrosynthesis: from laboratorial practice to industrial applications”, D.S.P. Cardoso, B. Šljukić, D.M.F. Santos, and C.A.C. Sequeira, Organic Process Research & Development, Vol. 21, 9, 1213–1226 (2017). 77. “Bimetallic PdM (M = Fe, Ag, Au) alloy nanoparticles assembled on reduced graphene oxide as catalysts for direct borohydride fuel cells”, M. Martins, B. Šljukić, Ö. Metin, M. Sevim, C.A.C. Sequeira, T. Şener, and D.M.F. Santos, Journal of Alloys and Compounds, Vol. 718, 204-214 (2017). 76. “SnO2-C supported PdNi nanoparticles for oxygen reduction and borohydride oxidation”, B. Šljukić, M. Martins, E. Kayhan, A. Balčiūnaitė, T. Şener, C.A.C. Sequeira, and D.M.F. Santos, Journal of Electroanalytical Chemistry, Vol. 797, 23-30 (2017). 75. “Employment of Au/Co and Au/CoB as materials for anodes in borohydride–hydrogen peroxide fuel cells”, A. Balčiūnaitė, Z. Sukackienė, L. Tamašauskaitė-Tamašiūnaitė, D.M.F. Santos, and E. Norkus, Chemija, Vol. 28, 1, 21-27 (2017). 74. “Electroreduction ability of organoborohydride compounds”, D.S.P. Cardoso, C.A.C. Sequeira, C.M. Bateman, J.E. Barker, E. Abbey, and D.M.F. Santos, Journal of The Electrochemical Society, Vol. 164, 4, H1-H7 (2017). 73. “Room temperature ionic liquids as electrolyte additives for the HER in alkaline media”, L. Amaral, D.S.P. Cardoso, B. Šljukić, D.M.F. Santos, and C.A.C. Sequeira, Journal of The Electrochemical Society, Vol. 164, 4, F427-F432 (2017). 72. “Reduced graphene oxide assembled Pd-based nanoalloys for hydrogen evolution reaction”, J.A.S.B. Cardoso, L. Amaral, Ö. Metin, D.S.P. Cardoso, M. Sevim, T. Şener, C.A.C. Sequeira, and D.M.F. Santos, International Journal of Hydrogen Energy, Vol. 42, 7, 3916–3925 (2017). 71. “AuCo/TiO2-NTs anode catalysts for direct borohydride fuel cells”, D.M.F. Santos, A. Balčiūnaitė, L. Tamašauskaitė-Tamašiūnaitė, A. Zabielaitė, A. Jagminienė, I. Stankevičienė, A. Naujokaitis, and E. Norkus, Journal of The Electrochemical Society, Vol. 163, 14, F1553-F1557 (2016). 70. “Domestic wastewater treatment using Pt,Ni-RE (rare earth) electrodes”, E.Y.F. Moutinho, D. Macciò, A. Saccone, M. Mateus, and D.M.F. Santos, AIMS Energy, Vol. 4, 6, 894-905 (2016). 69. “Pd/c-PANI electrocatalysts for direct borohydride fuel cells”, J. Milikić, G. Ćirić-Marjanović, S. Mentus, D.M.F Santos, C.A.C. Sequeira, and B. Šljukić, Electrochimica Acta, Vol. 213, 298-305 (2016). 68. “On the performance of commercially available corrosion-resistant nickel alloys: a review”, C.A.C. Sequeira, D.S.P. Cardoso, L. Amaral, B. Šljukić, and D.M.F. Santos, Corrosion Reviews, Vol. 34, 4, 187-200 (2016). 67. “Biobased carbon–supported palladium electrocatalysts for borohydride fuel cells”, M. Martins, B. Šljukić, C.A.C. Sequeira, O. Metin, M. Erdem, T. Şener, and D.M.F. Santos, International Journal of Hydrogen Energy, Vol. 41, 25, 10914-10922 (2016). 66. “Molybdenum carbide nanoparticles on carbon nanotubes and carbon xerogel: low-cost cathodes for hydrogen production by alkaline water electrolysis”, B. Šljukić, D.M.F. Santos, M. Vujković, L. Amaral, R.P. Rocha, C.A.C. Sequeira, and J.L. Figueiredo, ChemSusChem, Vol. 9, 10, 1200-1208 (2016). 65. “Nanostructured 3D metallic foams for H2O2 electroreduction”, S. Eugénio, D.S.P. Cardoso, D.M.F. Santos, B. Šljukić, and M.F. Montemor, International Journal of Hydrogen Energy, Vol. 41, 32, 14370-14376 (2016). 64. “Nickel–rare earth electrodes for sodium borohydride electrooxidation”, D.M.F. Santos, B. Šljukić, L. Amaral, J. Milikić, C.A.C. Sequeira, D. Macciò, and A. Saccone, Electrochimica Acta, Vol. 190, 1050-1056 (2016). 63. “Platinum-rare earth cathodes for direct borohydride-peroxide fuel cells”, D.S.P. Cardoso, D.M.F. Santos, B. Šljukić, C.A.C. Sequeira, D. Macciò, and A. Saccone, Journal of Power Sources, Vol. 307, 251-258 (2016). 62. “Perovskite cathodes for NaBH4/H2O2 direct fuel cells”, D.M.F. Santos, T.F.B. Gomes, B. Šljukić, N. Sousa, C.A.C. Sequeira, and F.M.L. Figueiredo, Electrochimica Acta, Vol 178, 163-170 (2015). 61. “Carbon-supported Mo2C electrocatalysts for hydrogen evolution reaction” B. Šljukić, M. Vujković, L. Amaral, D.M.F. Santos, R.P. Rocha, C.A.C. Sequeira, and J.L. Figueiredo, Journal of Materials Chemistry A, Vol. 3, 15505-15512 (2015). 60. “Hydrogen evolution on nanostructured Ni-Cu foams”, D.S.P. Cardoso, S. Eugénio, T.M. Silva, D.M.F. Santos, C.A.C. Sequeira, and M.F. Montemor, RSC Advances, Vol. 5, 54, 43456-43461 (2015). 59. “Three-dimensional nanostructured Ni-Cu foams for borohydride oxidation”, D.M.F. Santos, S. Eugénio, D.S.P. Cardoso, B. Šljukić, and M.F. Montemor, Russian Journal of Physical Chemistry A, Vol. 89, 13, 178-183 (2015). 58. “Enhancement of hydrogen evolution in alkaline water electrolysis by using nickel-rare earth alloys”, D.S.P. Cardoso, L. Amaral, D.M.F. Santos, B. Šljukić, C.A.C. Sequeira, D. Macciò, and A. Saccone, International Journal of Hydrogen Energy, Vol. 40, 12, 4295-4302 (2015). 57. “Electrocatalytic performance of Pt-Dy alloys for direct borohydride fuel cells”, B. Šljukić, J. Milikić, D.M.F. Santos, C.A.C. Sequeira, D. Macciò, and A. Saccone, Journal of Power Sources, Vol. 272, 335-343 (2014). 56. “Nickel and nickel-cerium alloy anodes for direct borohydride fuel cells”, D.M.F. Santos, B. Šljukić, L. Amaral, D. Macciò, A. Saccone, and C.A.C. Sequeira, Journal of The Electrochemical Society, Vol. 161, 5, F594-F599 (2014). 55. “Electrocatalytic activity of nickel-cerium alloys for hydrogen evolution in alkaline water electrolysis”, D.M.F. Santos, L. Amaral, B. Šljukić, D. Macciò, A. Saccone, C.A.C. Sequeira, Journal of The Electrochemical Society, Vol. 161, 4, F386-F390 (2014). 54. “Carbon-supported Pt0.75M0.25 (M = Ni or Co) electrocatalysts for borohydride oxidation", B. Šljukić, J. Milikić, D.M.F. Santos, C.A.C. Sequeira, Electrochimica Acta, Vol. 107, 577-583 (2013). 53. “Hydrogen production by alkaline water electrolysis”, D.M.F. Santos, C.A.C. Sequeira, J.L. Figueiredo, Química Nova, Vol. 36, 8, 1176-1193 (2013). 52. “Physics of electrolytic gas evolution”, C.A.C. Sequeira, D.M.F. Santos, B. Šljukić, L. Amaral, Brazilian Journal of Physics, Vol. 43, 3, 199-208 (2013). 51. “Manganese dioxide electrocatalysts for borohydride fuel cell cathodes?”, B. Šljukić, D.M.F. Santos, C.A.C. Sequeira, Journal of Electroanalytical Chemistry, Vol. 694, 77-83 (2013). 50. “Platinum-rare earth electrodes for hydrogen evolution in alkaline water electrolysis”, D.M.F. Santos, C.A.C. Sequeira, D. Macciò, A. Saccone, J.L. Figueiredo, International Journal of Hydrogen Energy, Vol. 38, 8, 3137-3145 (2013). 49. “Analytical monitoring of sodium borohydride”, B. Šljukić, D.M.F. Santos, C.A.C. Sequeira, C.E. Banks, Analytical Methods, Vol. 5, 4, 829-839 (2013). 48. “Electrocatalytic approach for the efficiency increase of electrolytic hydrogen production: proof-of-concept using Pt-Dy”, D.M.F. Santos, B. Šljukić, C.A.C. Sequeira, D. Macciò, A. Saccone, J.L. Figueiredo, Energy, Vol. 50, 486-492 (2013). 47. “Electrochemical behaviour of carbon supported Pt electrocatalysts for H2O2 reduction”, A.L. Morais, J.R.C. Salgado, B. Šljukić, D.M.F. Santos, and C.A.C. Sequeira, International Journal of Hydrogen Energy, Vol. 37, 19, 14143-14151 (2012). 46. “Cation diffusivity in nonstoichiometric tungsten trioxide films”, C.A.C. Sequeira, L.F.F.T.T.G. Rodrigues, D.M.F. Santos, ECS Journal of Solid State Science and Technology, Vol. 1, 5, R136-R139 (2012). 45. “Anion- or cation-exchange membranes for NaBH4/H2O2 fuel cells?”, B. Šljukić, A.L. Morais, D.M.F. Santos, and C.A.C. Sequeira, Membranes, Vol. 2, 3, 478-492 (2012). 44. “Direct borohydride/peroxide fuel cells using Prussian Blue cathodes”, D.M.F. Santos, P.G. Saturnino, R.F.M. Lobo, and C.A.C. Sequeira, Journal of Power Sources, Vol. 208, 10, 131-137 (2012). 43. “Electrochemical behaviour of oxygen reduction on polymer carbon electrodes in alkaline media”, C.A.C Sequeira and D.M.F. Santos, Russian Journal of Electrochemistry, Vol. 48, 7, 727-737 (2012) – also published in Russian in Elektrokhimiya, Vol. 48, 7, 801-811 (2012) . 42. “Molecular beam-thermal desorption spectrometry (MB-TDS) monitoring of hydrogen desorbed from storage fuel cell anodes”, R.F.M. Lobo, D.M.F. Santos, C.A.C. Sequeira, and J.H.F. Ribeiro, Materials, Vol. 5, 2, 248-257 (2012). 41. “Studies of modified hydrogen storage intermetallic compounds used as fuel cell anodes”, Y. Chen, D.M.F. Santos, C.A.C. Sequeira, and R.F.M. Lobo, Crystals, Vol. 2, 1, 22-33 (2012). 40. “Effect of membrane separators on the performance of direct borohydride fuel cells”, D.M.F. Santos and C.A.C. Sequeira, Journal of The Electrochemical Society, Vol. 159, 2, B126-B132 (2012). 39. “Diffusion-controlled processes in nuclear reactor oxide systems”, C.A.C Sequeira and D.M.F. Santos, Nuclear Engineering and Design, Vol. 241, 12, 4903-4908 (2011). 38. “Potentiostatic testing of oxygen reduction on polymer carbon electrodes”, C.A.C Sequeira and D.M.F. Santos, Advances in Physical Chemistry, Vol. 2011, Article ID 414108, 12 pages (2011). 37. “Sodium borohydride as a fuel for the future”, D.M.F. Santos and C.A.C. Sequeira, Renewable & Sustainable Energy Reviews, Vol. 15, 8, 3980-4001 (2011). 36. “Platinum-rare earth intermetallic alloys as anode electrocatalysts for borohydride oxidation”, D.M.F. Santos, P.G. Saturnino, D. Macciò, A. Saccone, and C.A.C. Sequeira, Catalysis Today, Vol. 170, 1, 134-140 (2011). 35. “Electrocatalytic activity of simple and modified Fe-P electrodeposits for hydrogen evolution from alkaline media”, C.A.C. Sequeira, D.M.F. Santos, and P.S.D. Brito, Energy, Vol. 36, 2, 847-853 (2011). 34. “Cyclic voltammetry investigation of borohydride oxidation at a gold electrode”, D.M.F. Santos and C.A.C. Sequeira, Electrochimica Acta, Vol. 55, 22, 6775-6781 (2010). 33. “On the electrosynthesis of sodium borohydride”, D.M.F. Santos and C.A.C. Sequeira, International Journal of Hydrogen Energy, Vol. 35, 18, 9851-9861 (2010). 32. “Effect of alloys modified by sodium borohydride alkaline solutions on the kinetics of hydrogen evolution reaction at Mm(Ni3.6Co0.7Mn0.4Al0.3)1.15 hydride electrodes”, D.M.F. Santos, C.A.C. Sequeira, and R.F.M. Lobo, International Journal of Hydrogen Energy, Vol. 35, 18, 9901-9909 (2010). 31. “Mass transfer to microelectrodes and arrays”, C.A.C. Sequeira and D.M.F. Santos, Zeitschrift für Physikalische Chemie, Vol. 224, 9, 1297-1336 (2010). 30. “Chronopotentiometric investigation of borohydride oxidation at a gold electrode”, D.M.F. Santos and C.A.C. Sequeira, Journal of The Electrochemical Society, Vol. 157, 1, F16-F21 (2010). 29. “Zinc anode for direct borohydride fuel cells”, D.M.F. Santos and C.A.C. Sequeira, Journal of The Electrochemical Society, Vol. 157, 1, B13-B19 (2010). 28. “Tungsten oxide electrochromic windows with lithium polymer electrolytes”, C.A.C. Sequeira and D.M.F. Santos, Journal of The Electrochemical Society, Vol. 157, 6, J202-J207 (2010). 27. “Transient film formation on chalcopyrite in acidic solutions”, C.A.C. Sequeira and D.M.F. Santos, Journal of Applied Electrochemistry, Vol. 40, 1, 123-131 (2010). 26. “Sodium borohydride determination by measurement of open circuit potentials”, D.M.F. Santos and C.A.C. Sequeira, Journal of Electroanalytical Chemistry, Vol. 627, 1-2, 1-8 (2009). 25. “Determination of kinetic and diffusional parameters for sodium borohydride oxidation on gold electrodes”, D.M.F. Santos and C.A.C. Sequeira, Journal of The Electrochemical Society, Vol. 156, 5, F67-F74 (2009). 24. “Electrochemical routes for industrial synthesis”, C.A.C. Sequeira and D.M.F. Santos, Journal of the Brazilian Chemical Society, Vol. 20, 3, 387-406 (2009). 23. “Kinetic measurements during transient film growth on zinc”, Y. Chen, R.F.M. Lobo, D.M.F. Santos, and C.A.C. Sequeira, Química Nova, Vol. 32, 2, 387-390 (2009). 22. “Anodic polarisation characterisation of absorbed hydrogen in modified Mm(B5)x alloys”, D.M.F. Santos, Y. Chen, and C.A.C. Sequeira, Defect and Diffusion Forum, Vols. 283-286, 622-627 (2009). 21. “Current-voltage measurements on indium phosphide Schottky diodes”, C.A.C. Sequeira and D.M.F. Santos, Defect and Diffusion Forum, Vols. 283-286, 577-582 (2009). 20. “Capacitance-voltage measurements on p-n-p InP structures”, C.A.C. Sequeira and D.M.F. Santos, Physica B: Condensed Matter, Vol. 404, 1, 61-64 (2009). 19. “Reactively deposited cobalt electrodes for hydrogen evolution in alkaline solution”, C.A.C. Sequeira, D.M.F. Santos, J.R. Sousa, and P.S.D. Brito, Materials Technology, Vol. 24, 2, 119-121 (2009). 18. “Chronoamperometric determination of diffusion coefficients for borohydride anions in sodium hydroxide solutions”, D.M.F. Santos and C.A.C. Sequeira, Defect and Diffusion Forum, Vols. 273-276, 583-589 (2008). 17. “Effect of sodium borohydride on the hydrogen diffusion in MmNi3.6Mn0.4Al0.3Co0.7 hydride electrode”, C.A.C. Sequeira, Y. Chen, and D.M.F. Santos, Defect and Diffusion Forum, Vols. 273-276, 590-593 (2008). 16. “On the features of ultramicroelectrodes”, D.M.F. Santos, R.F.M. Lobo, and C.A.C. Sequeira, Defect and Diffusion Forum, Vol. 273-276, 602-607 (2008). 15. “Electrocatalysis of oxygen reduction by lanthanum strontium manganate”, C.A.C Sequeira, D.M.F. Santos, and P.S.D. Brito, Russian Journal of Electrochemistry, Vol. 44, 7, 919-923 (2008). 14. “Electrochemical and chemical methods for high temperature coatings”, C.A.C. Sequeira, B.L. Aguado, J.A.D. Condeço, and D.M.F. Santos, Materials Science Research Journal, Vol. 1, 3/4, 183-208 (2008). 13. “SRET visualisation of pyrite corrosion and its inhibition in aerated solution”, L.P.S. Araújo, D.M.F. Santos, and C.A.C. Sequeira, Materials Science Forum, Vols. 587-588, 1008-1013 (2008). 12. “Hall effect measurements on p-n-p InP structures”, C.A.C. Sequeira and D.M.F. Santos, Brazilian Journal of Physics, Vol. 38, 1 - March, 147-155 (2008). 11. “Nickel coated electrodes for oxygen evolution in alkaline solution”, C.A.C. Sequeira, D.M.F. Santos, E. Cameron, and P.S.D. Brito, Materials Technology, Vol. 23, 3, 142-144 (2008). 10. “Chemical metathesis of chalcopyrite in acidic solutions”, C.A.C. Sequeira, D.M.F. Santos, Y. Chen, and G. Anastassakis, Hydrometallurgy, Vol. 92, 3-4, 135-140 (2008). 9. “Fermentation, gasification and pyrolysis of carbonaceous residues towards usage in fuel cells”, C.A.C. Sequeira, P.S.D. Brito, A.F. Mota, J.L. Carvalho, L.F.F.T.T.G. Rodrigues, D.M.F. Santos, D.B. Barrio, and D.M. Justo, Energy Conversion and Management, Vol. 48, 7, 2203-2220 (2007). 8. “Four-point probe electrical measurements on p-n-p InP structures”, C.A.C. Sequeira and D.M.F. Santos, Brazilian Journal of Physics, Vol. 37, 3B - September, 1077-1083 (2007). 7. “Mediated and non-mediated electrochemical oxidation of isopropanol”, C.A.C. Sequeira, D.M.F. Santos, and P.S.D. Brito, Applied Surface Science, Vol. 252, 17, 6093-6096 (2006). 6. “Theoretical considerations of solid state diffusion of impurities into crystals”, C.A.C. Sequeira and D.M.F. Santos, Czechoslovak Journal of Physics, Vol. 56, June, 549-564 (2006). 5. “Oxygen reduction at a manganate electrocatalyst in KOH solutions”, C.A.C. Sequeira, D.M.F. Santos, and W. Baptista, Journal of the Brazilian Chemical Society, Vol. 17, 5, 910-914 (2006). 4. “Chronopotentiometric study of the electrooxidation of borohydride anion in alkaline medium”, D.M.F. Santos and C.A.C. Sequeira, Defect and Diffusion Forum, Vol. 258-260, 333-339 (2006). 3. “Electrocatalytic studies of oxygen reduction at lanthanum barium manganate”, D.M.F. Santos and C.A.C. Sequeira, Defect and Diffusion Forum, Vol. 258-260, 327-332 (2006). 2. “Hydrogen diffusion in austenitic stainless steels”, Y. Chen, D.M.F. Santos, and C.A.C. Sequeira, Defect and Diffusion Forum, Vol. 258-260, 322-326 (2006). 1. “Effects of temperature on the performance of the MmNi3.6Co0.7Mn0.4Al0.3 metal hydride electrode in alkaline solution”, C.A.C. Sequeira, Y. Chen, and D.M.F. Santos, Journal of The Electrochemical Society, Vol. 153, 10, A1863-A1867 (2006). 9. “Investigation of PtxMy/C electrocatalysts for H2O2 reduction in acid solution”, A.L. Morais, J.R.C. Salgado, B. Šljukić, D.M.F. Santos, and C.A.C. Sequeira, Ciência & Tecnologia dos Materiais, Vol. 24, 3-4, 189-192 (2012). 8. "Metal hydrides for hydrogen storage and distribution”, Y. Chen, D.M.F. Santos, and C.A.C. Sequeira, Ciência & Tecnologia dos Materiais, Vol. 23, 1-2, 48-52 (2011). 7. “Hydrogen production”, C.A.C. Sequeira and D.M.F. Santos, Ciência & Tecnologia dos Materiais, Vol. 22, 3-4, 76-86 (2010). 6. “Potentiometric monitoring of sodium borohydride in aqueous solutions”, D.M.F. Santos and C.A.C. Sequeira, Ciência & Tecnologia dos Materiais, Vol. 20, 3-4, 31-34 (2008). 5. “The study of high temperature oxidation by surface analytical techniques”, C.A.C. Sequeira, Y. Chen, D.M.F. Santos, and X. Song, Corrosão e Protecção de Materiais, Vol. 27, 4, 114-121 (2008). 4. “Electroreduction of carbon dioxide for fuel cell utilization”, M.C.M.R. Gonçalves, J.A.D. Condeço, D.M.F. Santos, T.C.D. Pardal, and C.A.C. Sequeira, Ciência & Tecnologia dos Materiais, Vol. 17, 3-4, 141-145 (2005). 3. “Anodic limiting currents for iron in acidic sulphate electrolytes”, C.A.C. Sequeira and D.M.F. Santos, Ciência & Tecnologia dos Materiais, Vol. 17, 1-2, 7-11 (2005). 2. “Materials corrosion in molten carbonate fuel cells”, C.A.C. Sequeira, T.C.D. Pardal, and D.M.F. Santos, Ciência & Tecnologia dos Materiais, Vol. 17, 1-2, 80-87 (2005). 1. “O eléctrodo de leito fluidizado. Origem e aplicações”, D.M.F. Santos and C.A.C. Sequeira, Ciência & Tecnologia dos Materiais, Vol. 14, 1, 40-49 (2002). 5. C.A.C. Sequeira, B. Šljukić, M. Vujković, I.S. Simatović, L. Amaral, and D.M.F. Santos, “Developments in secondary batteries”, in: “Fuel Cells and Batteries”, R. Prasad, S. Sivakumar, U.C. Sharma (eds. ), Vol. 10 of the Series “Energy, Science and Technology” (12 Vols. ), J.N. Govil (ed. ), Studium Press LLC, USA, ISBN: 1-62699-071-9, pp. 271-313 (2015). ‏4. P.S.D. Brito and D.M.F. Santos, “Electrochemical energy conversion”, in “Environmental Remediation and Energy Production Technologies”, Coleção C3i, nº 5, Coordenação Interdisciplinar para a Investigação e Inovação, Instituto Politécnico de Portalegre, Portugal, ISBN: 978-989-8806-05-5, pp. 111-137 (2015). 3. C.A.C. Sequeira and D.M.F. Santos, “Introduction to polymer electrolyte materials” in: “Polymer electrolytes: fundamentals and applications”, C.A.C. Sequeira and D.M.F. Santos (eds. ), Woodhead Publishing Ltd, Cambridge, UK, ISBN: 978-1-84569-772-3, pp. 3-61 (2010). 2. P.S.D. Brito, S. Patrício, L.F. Rodrigues, D.M.F. Santos, and C.A.C. Sequeira, “Electrodeposition of Zn-Mn alloys from recycling battery leach solutions in the presence of amines” in: “The Sustainable World” – WIT Transactions on Ecology and the Environment, Vol. 142, C.A. Brebbia (ed. ), WIT Press, Wessex Institute of Technology, UK, ISBN: 978-1-84564-504-5, pp. 367-378 (2010). 1. C.A.C. Sequeira and D.M.F. Santos, “Electrochemical energy conversion technologies and their environmental impact” in: “Energy Conversion: New Research”, Wenzhong Lín (ed. ), Nova Science Publishers, Inc., New York, ISBN: 978-1-60456-263-7, pp. 31-87 (2008). 77. “Mesoporous graphitic carbon nitride as metal nanoparticle support for design of novel electrocatalysts”, R.C.P. Oliveira, M. Sevim, B. Šljukić, C.A.C. Sequeira, Ö. Metin, and D.M.F. Santos, Book of abstracts (electronic) of CarboCat VIII - 8th International Symposium on Carbon for Catalysis, June 26-29, 2018, Porto, Portugal, p. 89 (2018). 76. “Studies of hydrogen peroxide for theranostic medicine” C.A.C. Sequeira, R.C.P. Oliveira, A. Balčiūnaitė, W. Gouveia, L. Amaral, B. Šljukić, and D.M.F. Santos, Book of abstracts (electronic) of CarboCat VIII - 8th International Symposium on Carbon for Catalysis, June 26-29, 2018, Porto, Portugal, p. 130 (2018). 75. “Palladium-nickel on tin oxide-carbon composite supports for electrocatalytic hydrogen evolution” J.A.S.B. Cardoso, B. Šljukić, E. Kayhan, T. Şener, C.A.C. Sequeira, and D.M.F. Santos, Book of abstracts (electronic) of CarboCat VIII - 8th International Symposium on Carbon for Catalysis, June 26-29, 2018, Porto, Portugal, p. 18 (2018). 74. “Cobalt catalyst electro-regeneration for H2 on-demand in NaBH4 systems”, W. Gouveia, D.M.F. Santos, S. Eugénio, and M.F. Montemor, Book of abstracts (electronic) of 3ECQUL - 3rd Meeting of the College of Chemistry of the University of Lisbon, E&E.P10, June 27-29, 2018, Reitoria da Universidade de Lisboa, Portugal, p. 88 (2018). 73. “Lignin recovery from black liquor electrolysis: a chronoamperometric and chronopotentiometric study”, R.C.P. Oliveira, M. Mateus, and D.M.F. Santos, Book of abstracts (electronic) of HYCELTEC 2017 - VI Symposium on Hydrogen, Fuel Cells and Advanced Batteries, June 19-23, 2017, Casa Diocesana, Porto, Portugal (2017). 72. “Investigation of borohydride oxidation reaction at Pd-ion exchanged X zeolite”, R.C.P. Oliveira, M. Vasić, D.M.F. Santos, R. Hercigonja, B. Babić, and B. Šljukić, Book of abstracts (electronic) of HYCELTEC 2017 - VI Symposium on Hydrogen, Fuel Cells and Advanced Batteries, June 19-23, 2017, Casa Diocesana, Porto, Portugal (2017). 71. “Hydrogen evolution reaction on nanostructured nickel foams with different morphologies”, K.I. Siwek, S. Eugénio, D.M.F. Santos, and M.F. Montemor, Book of abstracts (electronic) of HYCELTEC 2017 - VI Symposium on Hydrogen, Fuel Cells and Advanced Batteries, June 19-23, 2017, Casa Diocesana, Porto, Portugal (2017). 70. “Developing a novel black liquor-feed direct fuel cell”, R.C.P. Oliveira, M.J. Jeremias, M. Mateus, and D.M.F. Santos, Book of abstracts (electronic) of HYCELTEC 2017 - VI Symposium on Hydrogen, Fuel Cells and Advanced Batteries, June 19-23, 2017, Casa Diocesana, Porto, Portugal (2017). 69. “On-demand hydrogen generation with improved borohydride hydrolysis catalysis”, D.M.F. Santos, S. Eugénio, B. Šljukić, and U.B. Demirci, Book of abstracts (electronic) of HYCELTEC 2017 - VI Symposium on Hydrogen, Fuel Cells and Advanced Batteries, June 19-23, 2017, Casa Diocesana, Porto, Portugal (2017). 68. “Platinum-free electrocatalysts for borohydride fuel cells”, M. Martins, B. Šljukić, C.A.C. Sequeira, E. Kayan, T. Şener, and D.M.F. Santos, Book of abstracts (electronic) of HYCELTEC 2017 - VI Symposium on Hydrogen, Fuel Cells and Advanced Batteries, June 19-23, 2017, Casa Diocesana, Porto, Portugal (2017). 67. “Hydrogen evolution reaction at rGO-supported PdAu and PdFe alloys”, J.A.S.B. Cardoso, D.S.P. Cardoso, L. Amaral, Ö. Metin, M. Sevim, T. Sener, C.A.C. Sequeira, and D.M.F. Santos, Book of Abstracts of MATERIAIS 2017 - XVIII Congresso da Sociedade Portuguesa dos Materiais, VIII International Symposium on Materials, April 9-12, 2017, Aveiro, Portugal, p. 259 (2017). 66. “Electrochemistry of hydrogen evolution in RTILs mixtures”, L. Amaral, D.S.P. Cardoso, B. Šljukić, D.M.F. Santos, and C.A.C. Sequeira, Book of Abstracts of MATERIAIS 2017 - XVIII Congresso da Sociedade Portuguesa dos Materiais, VIII International Symposium on Materials, April 9-12, 2017, Aveiro, Portugal, p. 30 (2017). 65. “Chemical stability of perovskites-type oxide electrodes for the ORR and HPRR in alkaline media”, N. Sousa, B. Šljukić, D.S.P. Cardoso, D.M.F. Santos, and F.M.L. Figueiredo, Book of Abstracts of MATERIAIS 2017 - XVIII Congresso da Sociedade Portuguesa dos Materiais, VIII International Symposium on Materials, April 9-12, 2017, Aveiro, Portugal, p. 263 (2017). 64. “Reduced graphene oxide assembled bimetallic PdM (M = Fe, Ag, Au) alloy nanoparticles as high-performance electrocatalysts for direct borohydride fuel cells”, Ö. Metin, M. Sevim, M. Martins, B. Šljukić, and D.M.F. Santos, Abstract Book of Second International Hydrogen Technologies Congress (IHTEC-2017), March 15-18, 2017, Çukurova University, Adana, Turkey, ISBN: 978-605-66381-1-4, p. 61 (2017). 63. “Bimetallic PdM (M: Au, Fe) alloy nanoparticles assembled on reduced graphene oxide as highly efficient catalysts for hydrogen evolution reaction”, M. Sevim, J.A.S.B. Cardoso, D.S.P. Cardoso, D.M.F. Santos, and Ö. Metin, Abstract Book of Second International Hydrogen Technologies Congress (IHTEC-2017), March 15-18, 2017, Çukurova University, Adana, Turkey, ISBN: 978-605-66381-1-4, p. 129 (2017). 62. “Monodisperse Pd Nanoparticles assembled on rGO-Fe3O4 nanocomposites as a high-performance electrocatalyst for borohydride fuel cells”, B. Sündü, M. Sevim, M. Martins, B. Šljukić, D.M.F. Santos, and Ö. Metin, Abstract Book of Second International Hydrogen Technologies Congress (IHTEC-2017), March 15-18, 2017, Çukurova University, Adana, Turkey, ISBN: 978-605-66381-1-4, p. 133 (2017). 61. “Pd-modified X zeolite electrodes for hydrogen evolution reaction in alkaline medium”, M. Vasić, M. Čebela, R. Hercigonja, D.M.F. Santos, and B. Šljukić, Book of Abstracts of the 2nd International Meeting on Materials Science for Energy Related Applications, September 29-30, 2016, University of Belgrade, Faculty of Physical Chemistry, Belgrade, Serbia, ISBN 978-86-82139-62-1, pp. 63-64 (2016). 60. “Electrochemical characterization of novel organoborohydride compounds”, D.S.P. Cardoso, C.A.C. Sequeira, C.M. Bateman, J.E. Barker, E. Abbey and D.M.F. Santos, ECS Transactions, Vol. 72, 28, 1-10 (2016). 59. “Nickel-rare earth (RE = Ce, Sm, Dy) electrodes for H2O2 reduction in fuel cells”, D.M.F. Santos, D.S.P. Cardoso, B. Šljukić, C.A.C. Sequeira, D. Macciò, and A. Saccone, ECS Transactions, Vol. 72, 25, 31-40 (2016). 58. “Black liquor electrolysis for hydrogen and lignin extraction”, R. Oliveira, M. Mateus, and D.M.F. Santos, ECS Transactions, Vol. 72, 22, 43-53 (2016). 57. “Effect of RTILs on the hydrogen evolution reaction in alkaline media”, L. Amaral, D.S.P. Cardoso, B. Šljukić, D.M.F. Santos, and C.A.C. Sequeira, ECS Transactions, Vol. 72, 23, 23-29 (2016). 56. “Pt-Ni decorated metal oxide electrodes for borohydride fuel cells”, M. Martins, B. Šljukić, C.A.C. Sequeira, G.S.P. Soylu, A. Bayrakceken Yurtcan, G. Bozkurt, T. Sener, and D.M.F. Santos, ECS Transactions, Vol. 72, 25, 57-64 (2016). 55. “Gold-cobalt deposited on titania nanotubes as anode catalyst for direct borohydride fuel cells”, D.M.F. Santos, A. Balciunaite, L. Tamasauskaite-Tamasiunaite, A. Zabielait, A. Jagminien, I. Stankeviciene, and E. Norkus, ECS Transactions, Vol. 72, 25, 65-71 (2016). 54. “Evaluation of Au/Co and Au/CoB electrocatalysts in borohydride fuel cell anodes”, A. Balčiūnaitė, Z. Sukackienė, L. Tamašauskaitė Tamašiūnaitė, D.M.F. Santos, and E. Norkus, Book of Abstracts of Chemistry and Chemical Technology 2016: International Conference of Lithuanian Society of Chemistry, April 28-29, 2016, Vilnius, Lithuania, ISBN: 978-609-95511-3-5, p. 96 (2016). 53. “Multifunctional nanostructured metallic foams for energy applications”, S. Eugénio, D.M.F. Santos, N. Tuyen, U. Demirci, M.T. Silva, M.J. Carmezim, and M.F. Montemor, Book of Abstracts of 2º Workshop IST-NM: Os Materiais e a Indústria Nacional, September 14-15, 2015, Instituto Superior Técnico, Lisboa, Portugal, p. 45 (2015). 52. “Transition metal foam electrocatalysts for hydrogen evolution reaction”, D.M.F. Santos, S. Eugenio, C.A.C. Sequeira, and M.F. Montemor, ECS Transactions, Vol. 64, 29, 9-16 (2015). 51. “La2MO4 ceramic electrodes for solid alkaline fuel cells”, N. Sousa, B. Šljukić, D.M.F. Santos, and F.M.L. Figueiredo, Book of Abstracts of Jornadas CICECO 2015: Nanotechnology… from the lab to the industry, April 14-15, 2015, Universidade de Aveiro, Aveiro, Portugal, 143 (2015). 50. “Hydrogen evolution at nanostructured Ni-Cu foams”, D.M.F. Santos, S. Eugénio, D.S.P. Cardoso, C.A.C. Sequeira, M.F. Montemor, Proceedings of the 9th International Symposium Hydrogen & Energy, January 25-30, 2015, Emmetten, Switzerland, p. 27 (2015). 49. “Borohydride oxidation at Ni-Cu nanostructured foams”, D.M.F. Santos, S. Eugénio, D.S.P. Cardoso, B. Šljukić, and M.F. Montemor, Book of Abstracts of the 1st Workshop on Materials Science for Energy Related Applications, September 26-27, 2014, Faculty of Physical Chemistry, University of Belgrade, Belgrade, Serbia, ISBN: 978-86-82139-49-2, 28-33 (2014). 48. “Novel electrocatalytic materials for direct borohydride fuel cells”, D.M.F. Santos, B. Šljukić, and C.A.C. Sequeira, Proceedings of Physical Chemistry 2014, 12th International Conference on Fundamental and Applied Aspects of Physical Chemistry, September 22-26, 2014, Rectorate of the University of Belgrade, Belgrade, Serbia, ISBN: 978-86-82475-30-9, Volume I, 367-374 (2014). 47. “Carbon-supported Mo2C electrocatalysts for hydrogen evolution reaction”, L. Amaral, B. Šljukić, D.M.F. Santos, A. Stojanović, R.P. Rocha, C.A.C. Sequeira, and J.L. Figueiredo, Proceedings of Physical Chemistry 2014, 12th International Conference on Fundamental and Applied Aspects of Physical Chemistry, September 22-26, 2014, Rectorate of the University of Belgrade, Belgrade, Serbia, ISBN: 978-86-82475-30-9, Volume I, 383-386 (2014). 46. “Investigation of nickel-rare earth electrodes for sodium borohydride electrooxidation”, D.M.F. Santos, B. Šljukić, L. Amaral, C.A.C. Sequeira, D. Macciò, and A. Saccone, ECS Transactions, Vol. 64, 3, 1095-1102 (2014). 45. “La2NiO4 ceramic electrodes for hydrogen peroxide electroreduction”, D.M.F. Santos, N. Sousa, B. Šljukić, C.A.C. Sequeira, and F.M.L. Figueiredo, ECS Transactions, Vol. 64, 3, 1049-1057 (2014). 44. “Mo2C electrocatalysts for hydrogen evolution: effect of carbon-support”, B. Šljukić, D.M.F. Santos, L. Amaral, R.P. Rocha, C.A.C. Sequeira, and J.L. Figueiredo, Proceedings of EHEC 2014 - European Hydrogen Energy Conference, March 12-14, 2014, Hotel Meliá Sevilla, Seville, Spain, P-199, 644-645 (2014). 43. “Nickel-cerium alloys for borohydride oxidation”, D.M.F. Santos, B. Šljukić, L. Amaral, D. Macciò, A. Saccone, and C.A.C. Sequeira, ECS Transactions, Vol. 58, 1, 1893-1901 (2013). 42. “Nickel-cerium electrodes for hydrogen evolution in alkaline water electrolysis”, D.M.F. Santos, L. Amaral, B. Šljukić, D. Macciò, A. Saccone, and C.A.C. Sequeira, ECS Transactions, Vol. 58, 2, 113-121 (2013). 41. “Perovskite cathodes for H2O2 reduction in borohydride fuel cells”, D.M.F. Santos, T.F.B. Gomes, B. Šljukić, C.A.C. Sequeira, and F.M.L. Figueiredo, Proceedings of HYCELTEC 2013 - IV Iberian Symposium on Hydrogen, Fuel Cells and Advanced Batteries, June 26-28, 2013, Estoril Congress Center, Estoril, Portugal, ISBN: 978-989-98482-0-7 (2013). 40. “Rotating disc electrode study of the borohydride oxidation at Pt electrocatalysts”, B. Šljukić, J. Milikić, D.M.F. Santos, and C.A.C. Sequeira, Proceedings of HYCELTEC 2013 - IV Iberian Symposium on Hydrogen, Fuel Cells and Advanced Batteries, June 26-28, 2013, Estoril Congress Center, Estoril, Portugal, ISBN: 978-989-98482-0-7 (2013). 39. “Optimising the cathode performance of alkaline electrolysers: Effect of temperature and electrolyte concentration”, L. Amaral, D.M.F. Santos, B. Šljukić, and C.A.C. Sequeira, Proceedings of HYCELTEC 2013 - IV Iberian Symposium on Hydrogen, Fuel Cells and Advanced Batteries, June 26-28, 2013, Estoril Congress Center, Estoril, Portugal, ISBN: 978-989-98482-0-7 (2013). 38. “Carbon nanotube-supported Mo2C electrocatalysts for hydrogen production from water electrolysis”, D.M.F. Santos, B. Šljukić, L. Amaral, R.P. Rocha, C.A.C. Sequeira, and J.L. Figueiredo, Proceedings of HYCELTEC 2013 - IV Iberian Symposium on Hydrogen, Fuel Cells and Advanced Batteries, June 26-28, 2013, Estoril Congress Center, Estoril, Portugal, ISBN: 978-989-98482-0-7 (2013). 37. “Perovskites as DBFC cathodes for H2O2 electroreduction”, T.F.B. Gomes, F.M.L. Figueiredo, and D.M.F. Santos, Proceedings of Advances in Hydrogen Energy Technologies: Key to Sustainable Energy Markets, 5th International Seminar, 3rd Scientific Workshop, November 29-30, 2012, ISQ, Taguspark, Oeiras, Portugal, ISBN: 978-989-20-3419-5, 62-66 (2012). 36. “Hydrogen peroxide reduction on non-noble metal electrocatalysts”, T.F.B. Gomes, B. Šljukić, and D.M.F. Santos, Proceedings of Advances in Hydrogen Energy Technologies: Key to Sustainable Energy Markets, 5th International Seminar, 3rd Scientific Workshop, November 29-30, 2012, ISQ, Taguspark, Oeiras, Portugal, ISBN: 978-989-20-3419-5, 66-69 (2012). 35. “Investigation of sodium borohydride oxidation on bulk silver electrode”, A.L. Morais, B. Šljukić, and D.M.F. Santos, Proceedings of Advances in Hydrogen Energy Technologies: Key to Sustainable Energy Markets, 5th International Seminar, 3rd Scientific Workshop, November 29-30, 2012, ISQ, Taguspark, Oeiras, Portugal, ISBN: 978-989-20-3419-5, 14-17 (2012). 34. “Alternative, non-Pt electrocatalysts for O2 reduction”, B. Šljukić, J. Milikić, D.M.F. Santos, and C.A.C. Sequeira, The Book of Abstracts, Proceedings of Physical Chemistry 2012, 11th International Conference on Fundamental and Applied Aspects of Physical Chemistry, September 24-28, 2012, University of Belgrade, Belgrade, Serbia, Volume I, ISBN 978-86-82475-27-9, E-08-P, 327-329 (2012). 33. “Pt-Dy cathode electrocatalysts for alkaline water electrolysis”, D.M.F. Santos, B. Šljukić, C.A.C. Sequeira, D. Macciò, A. Saccone, and J.L. Figueiredo, Abstract Booklet of Zing Electrochemistry Conference 2012, February 8-11, 2012, Hesperia Lanzarote Hotel, Puerto Calero, Lanzarote, Spain, p. 45 (2012). .
32. “Investigation of carbon supported Pt and Pt alloys electrocatalysts for H2O2 electroreduction in acid solution”, A.L. Morais, J.R.C. Salgado, J.C.S. Fernandes, D.M.F. Santos, and C.A.C. Sequeira, Proceedings of Advances in Hydrogen Energy Technologies: Opportunities and Challenges in a Hydrogen Economy, 4th International Seminar, November 10-11, 2011, Escola Superior de Tecnologia e Gestão, Instituto Politécnico de Viana do Castelo, Viana do Castelo, Portugal, 1-6 (2011). 31. “Optimisation of NaBH4/H2O2 fuel cells using Prussian Blue cathodes”, D.M.F. Santos, P.G. Saturnino, A.L.N. Morais, R.F.M. Lobo, and C.A.C. Sequeira, Proceedings of the 9th ESEE, 9th European Symposium on Electrochemical Engineering, 19-23 June 2011, Panorama Hotel, Chania, Crete, Greece, paper A4.1.3 (2011). 30. “Platinum-rare earth electrodes for hydrogen production”, D.M.F. Santos, C.A.C. Sequeira, D. Macciò, A. Saccone, and J.L. Figueiredo, Proceedings of the 9th ESEE, 9th European Symposium on Electrochemical Engineering, 19-23 June 2011, Panorama Hotel, Chania, Crete, Greece, paper P1.15 (2011). 29. “Cation diffusivity in nonstoichiometric tungsten trioxide films”, C.A.C. Sequeira, L.F.F.T.T.G. Rodrigues, A.L.N. Morais, and D.M.F. Santos, Proceedings of the 9th ESEE, 9th European Symposium on Electrochemical Engineering, 19-23 June 2011, Panorama Hotel, Chania, Crete, Greece, paper P1.17 (2011). 28. “Pt-based alloys for borohydride oxidation”, D.M.F. Santos, P.G. Saturnino, D. Macciò, A. Saccone, and C.A.C. Sequeira, Proceedings of the 9th ESEE, 9th European Symposium on Electrochemical Engineering, 19-23 June 2011, Panorama Hotel, Chania, Crete, Greece, abstract P1.16 (2011). 27. “Metal hydrides for hydrogen storage and distribution”, D.M.F. Santos, Y. Chen, and C.A.C. Sequeira, Book of Abstracts of Hydrogen, Energy and Sustainability - Advances in Fuel Cells and Hydrogen Workshop, 3rd International Seminar of Torres Vedras, 29-30 April 2010, ExpoTorres, Torres Vedras, Portugal, 58-59 (2010). 26. “Polymeric membranes for direct borohydride fuel cells: a comparative study”, D.M.F. Santos and C.A.C. Sequeira, ECS Transactions, Vol. 25, 13, 111-122 (2010). 25. “Tungsten oxide electrochromic windows with lithium polymer electrolytes”, C.A.C. Sequeira and D.M.F. Santos, ECS Transactions, Vol. 25, 11, 121-132 (2009). 24. “Zinc negative electrode for direct borohydride fuel cells”, D.M.F. Santos and C.A.C. Sequeira, ECS Transactions, Vol. 16, 50, 123-137 (2009). 23. “The mechanism of oxide film formation on AISI 316 stainless steel in sulphate solutions”, C.A.C. Sequeira, D.M.F. Santos, J.R. Sousa, and P.S.D. Brito, ECS Transactions, Vol. 16, 48, 67-77 (2009). 22. “On the monitoring of the electrosynthesis of sodium borohydride”, D.M.F. Santos and C.A.C. Sequeira, Proceedings of the HYPOTHESIS VIII - HYdrogen POwer THeoretical and Engineering Solutions International Symposium, April 1-3, 2009, Hotel Corinthia, Lisbon, Portugal, paper HYP_024, 10 pages (2009). 21. “Effect of alloys modified by sodium borohydride alkaline solutions on the kinetics of hydrogen evolution reaction at Mm(Ni3.6Co0.7Mn0.4Al0.3)1.15 hydride electrodes”, D.M.F. Santos, C.A.C. Sequeira, and R.F.M. Lobo, Proceedings of the HYPOTHESIS VIII - HYdrogen POwer THeoretical and Engineering Solutions International Symposium, April 1-3, 2009, Hotel Corinthia, Lisbon, Portugal, paper HYP_152, 8 pages (2009). 20. “Development of a mischmetal-based hydrogen storage alloy electrode as a fuel cell anode catalyst”, Y. Chen, D.M.F. Santos, C.A.C. Sequeira, and R.F.M. Lobo, Proceedings of the HYPOTHESIS VIII - HYdrogen POwer THeoretical and Engineering Solutions International Symposium, April 1-3, 2009, Hotel Corinthia, Lisbon, Portugal, paper HYP_168, 7 pages (2009). 19. “Electrocatalytic performances of Fe-P and modified Fe-P deposited materials as hydrogen electrodes in alkaline water electrolysis”, C.A.C. Sequeira, J.R. Sousa, D.M.F. Santos, and P.S.D. Brito, Proceedings of the HYPOTHESIS VIII - HYdrogen POwer THeoretical and Engineering Solutions International Symposium, April 1-3, 2009, Hotel Corinthia, Lisbon, Portugal, paper HYP_174, 7 pages (2009). 18. “Determination of kinetic and diffusional parameters for sodium borohydride oxidation on gold electrodes”, D.M.F. Santos and C.A.C. Sequeira, ECS Transactions, Vol. 16, 2, 1855-1868 (2008). 17. “Polymeric membranes for sodium borohydride/ hydrogen peroxide fuel cells”, D.M.F. Santos and C.A.C. Sequeira, Book of Abstracts of ISPE-2008, 11th International Symposium on Polymer Electrolytes, 31 August - 5 September 2008, Ofir, Portugal, P-54, 141 (2008). 16. “Tungsten oxide electrochromic windows with lithium polymer electrolytes”, C.A.C. Sequeira and D.M.F. Santos, Book of Abstracts of ISPE-2008, 11th International Symposium on Polymer Electrolytes, 31 August - 5 September 2008, Ofir, Portugal, O-29, 73 (2008). 15. “Studies on sodium borohydride for energy systems”, C.A.C. Sequeira, T.C.D. Pardal, D.M.F. Santos, J.A.D. Condeço, M.A.W. Franco, and M.C.M.R. Gonçalves, ECS Transactions, Vol. 3, 18, 37-47 (2007). 14. “Electrochemical reduction of carbon dioxide for fuel cell utilisation”, M.C.M.R. Gonçalves, J.A.D. Condeço, T.C.D. Pardal, D.M. Roncero, D.M.F. Santos, and C.A.C. Sequeira, ECS Transactions, Vol. 3, 18, 49-56 (2007). 13. “An improved borohydride-H2O2 laboratory fuel cell”, D.M.F. Santos, J.A.D. Condeço, M.A.W. Franco, and C.A.C. Sequeira, ECS Transactions, Vol. 3, 32, 19-30 (2007). 12. “Anodic reactions of borohydride in sodium hydroxide solutions”, D.M.F. Santos and C.A.C. Sequeira, ECS Transactions, Vol. 3, 32, 69-77 (2007). 11. “Semiconductivity of thin films on Ni-Cr alloys and their relevance to hot corrosion”, C.A.C. Sequeira and D.M.F. Santos, Proceedings of the EUROCORR 2007, 9-13 September 2007, Freiburg im Breisgau, Germany, paper 1250 (2007). 10. “Niobium electrodeposition in fluoride melts and its corrosion behaviour”, C.A.C. Sequeira and D.M.F. Santos, Proceedings of the EUROCORR 2007, 9-13 September 2007, Freiburg im Breisgau, Germany, paper 1339 (2007). 9. “Monitoring of concrete electrochemical chloride removal (ECR)”, P.S.D. Brito, L.F. Rodrigues, R. Pires, M.P. Cunha, C.A.C. Sequeira, and D.M.F. Santos, Proceedings of the EUROCORR 2007, 9-13 September 2007, Freiburg im Breisgau, Germany, paper 1143 (2007). 8. “Corrosion behaviour of Zn electrodeposits from spent Zn–MnO2 batteries”, P.S.D. Brito, L.F. Rodrigues, T. Nabais, C.A.C. Sequeira, and D.M.F. Santos, Proceedings of the EUROCORR 2007, 9-13 September 2007, Freiburg im Breisgau, Germany, paper 1141 (2007). 7. “Electrochemical studies on the phenol oxidation in alkaline medium”, C.A.C. Sequeira, D.M.F. Santos, and R.F.M Lobo, Book of Abstracts of CIIEM2007, 2nd International Congress of Energy and Environment Engineering and Management, 6-8 June 2007, HC Badajoz Center Hotel, Badajoz, Spain, ISBN: 978-84-96560-45-1, p. 166 (2007). 6. “Reactively deposited cobalt electrodes for hydrogen evolution in alkaline solution”, C.A.C. Sequeira, D.M.F. Santos, J.R. Sousa, and P.S.D. Brito, Book of Abstracts of CIIEM2007, 2nd International Congress of Energy and Environment Engineering and Management, 6-8 June 2007, HC Badajoz Center Hotel, Badajoz, Spain, ISBN: 978-84-96560-45-1, p. 223 (2007). 5. “Nickel coated electrodes for oxygen evolution in alkaline solution”, C.A.C. Sequeira, D.M.F. Santos, E. Cameron, and P.S.D. Brito, Book of Abstracts of CIIEM2007, 2nd International Congress of Energy and Environment Engineering and Management, 6-8 June 2007, HC Badajoz Center Hotel, Badajoz, Spain, ISBN: 978-84-96560-45-1, p. 224 (2007). 4. “Oxygen reduction at lanthanum manganates in alkaline medium”, C.A.C. Sequeira and D.M.F. Santos, Meeting Abstracts, 209th Meeting of the Electrochemical Society, 7-12 May 2006, Denver, Colorado, USA, Abstract #274 (2006). 3. “Células de combustível baseadas nos gases obtidos na fermentação, gaseificação ou pirólise de resíduos carbonáceos”, P.S.D. Brito, A.F. Mota, J.L. Carvalho, L.F.F.T.T.G. Rodrigues, D.M.F. Santos, D.B. Barrio, D.M. Justo, and C.A.C. Sequeira, Proceedings of the CIIEM, 1st International Congress of Energy and Environment Engineering and Management, 18-20 May 2005, Escola Superior de Tecnologia e Gestão, Instituto Politécnico de Portalegre, Portugal, p.142 (2005). 2. “Mediated and non-mediated electrochemical oxidation of isopropanol”, C.A.C. Sequeira, D.M.F. Santos, and P.S.D. Brito, Proceedings of the CIIEM, 1st International Congress of Energy and Environment Engineering and Management, 18-20 May 2005, Escola Superior de Tecnologia e Gestão, Instituto Politécnico de Portalegre, Portugal, p. 70 (2005). 1. “Ring-disc studies of oxygen reduction at lanthanum calcium manganate in alkaline medium”, C.A.C. Sequeira, D.M.F. Santos, and W. Baptista, Proceedings of the DSL-2005, Edited by A. Öchsner, J. Grácio, and F. Barlat, 1st International Conference on Diffusion in Solids and Liquids, 6-8 July 2005, University of Aveiro, Portugal, Vol. 2, 659-662 (2005). 39. “Lowering the cost of catalysts for electrochemical energy conversion devices” D.M.F. Santos, B. Šljukić, L. Amaral, and C.A.C. Sequeira, CIÊNCIA’18 - Encontro com a Ciência e Tecnologia em Portugal, Centro de Congressos de Lisboa, Lisbon, Portugal, July 2-4, 2018. 38. “Palladium-nickel on tin oxide-carbon composite supports for electrocatalytic hydrogen evolution” J.A.S.B. Cardoso, B. Šljukić, E. Kayhan, T. Şener, C.A.C. Sequeira, and D.M.F. Santos, CarboCat VIII - 8th International Symposium on Carbon for Catalysis, Porto, Portugal, June 26-29, 2018. 37. “Lignin recovery from black liquor electrolysis: a chronoamperometric and chronopotentiometric study”, R.C.P. Oliveira, M. Mateus, and D.M.F. Santos, HYCELTEC 2017 - VI Symposium on Hydrogen, Fuel Cells and Advanced Batteries, Casa Diocesana, Porto, Portugal, June 19-23, 2017. 36. “Investigation of borohydride oxidation reaction at Pd-ion exchanged X zeolite”, R.C.P. Oliveira, M. Vasić, D.M.F. Santos, R. Hercigonja, B. Babić, and B. Šljukić, HYCELTEC 2017 - VI Symposium on Hydrogen, Fuel Cells and Advanced Batteries, Casa Diocesana, Porto, Portugal, June 19-23, 2017. 35. “Hydrogen evolution reaction on nanostructured nickel foams with different morphologies”, K.I. Siwek, S. Eugénio, D.M.F. Santos, and M.F. Montemor, HYCELTEC 2017 - VI Symposium on Hydrogen, Fuel Cells and Advanced Batteries, Casa Diocesana, Porto, Portugal, June 19-23, 2017. 34. “Electrochemistry of hydrogen evolution in RTILs mixtures”, L. Amaral, D.S.P. Cardoso, B. Šljukić, D.M.F. Santos, and C.A.C. Sequeira, MATERIAIS 2017 - XVIII Congresso da Sociedade Portuguesa dos Materiais, VIII International Symposium on Materials, Aveiro, Portugal, April 9-12, 2017. 33. “Reduced graphene oxide assembled bimetallic PdM (M = Fe, Ag, Au) alloy nanoparticles as high-performance electrocatalysts for direct borohydride fuel cells”, Ö. Metin, M. Sevim, M. Martins, B. Šljukić, and D.M.F. Santos, Second International Hydrogen Technologies Congress (IHTEC-2017), Çukurova University, Adana, Turkey, March 15-18, 2017. 32. “Pd-modified X zeolite electrodes for hydrogen evolution reaction in alkaline medium”, M. Vasić, M. Čebela, R. Hercigonja, D.M.F. Santos and B. Šljukić, 2nd International Meeting on Materials Science for Energy Related Applications, satellite event of PHYSICAL CHEMISTRY 2016 - 13th International Conference on Fundamental and Applied Aspects of Physical Chemistry, University of Belgrade, Faculty of Physical Chemistry, Belgrade, Serbia, September 29-30, 2016. 31. “Transition metal oxides as electrode materials for lithium-ion batteries”, B. Šljukić, D.M.F. Santos, and C.A.C. Sequeira, Materials for Energy Conversion, Serbian Academy of Science and Art, Belgrade, Serbia, September 27, 2016. 30. “Development of low-cost electrocatalytic materials for fuel cells”, D.M.F. Santos, Encontro CIÊNCIA’16 - Encontro com a Ciência e Tecnologia em Portugal, Session “Novos materiais, novas funções”, Centro de Congressos de Lisboa, Lisbon, Portugal, July 4-6, 2016. 29. “Synthesis and electrochemical characterization of novel organoborohydride compounds”, D.S.P. Cardoso, C.A.C. Sequeira, C.M. Bateman, J.E. Barker, E. Abbey and D.M.F. Santos, 229th Meeting of The Electrochemical Society, Symposium “Physical and analytical electrochemistry, electrocatalysis, and photoelectrochemistry general session” (presentation #L01-1647), Hilton San Diego Bayfront, San Diego (CA), USA, May 29-June 2, 2016. 28. “Nickel-rare earth (RE=Ce,Dy,Sm) electrodes for H2O2 reduction in direct borohydride fuel cells”, D.M.F. Santos, D.S.P. Cardoso, B. Šljukić, C.A.C. Sequeira, D. Macciò, and A. Saccone, 229th Meeting of The Electrochemical Society, Symposium “Heterogeneous functional materials for energy conversion and storage” (presentation #I05-1542), Hilton San Diego Bayfront, San Diego (CA), USA, May 29-June 2, 2016. 27. “Black liquor electrolysis for hydrogen and lignin extraction”, R. Oliveira, M. Mateus, and D.M.F. Santos, 229th Meeting of The Electrochemical Society, Symposium “Industrial electrochemistry and electrochemical engineering general session” (presentation #F01-1143), Hilton San Diego Bayfront, San Diego (CA), USA, May 29-June 2, 2016. 26 “Nanostructured 3D Cu-M (M=Ni,Co,Fe) foams for H2O2 electroreduction”, S. Eugénio, D.S.P. Cardoso, D.M.F. Santos, B. Šljukić, and M.F. Montemor, E-MRS Fall Meeting, Symposium C: Hydrogen storage in solids: materials, systems and application trends, Warsaw, Poland, September 14-18, 2015. 25. “Recent advances in direct borohydride fuel cells”, D.M.F. Santos, 1st Workshop of CeFEMA Forum, Sala de Seminários do Departamento de Física, Instituto Superior Técnico, Lisbon, Portugal, February 26, 2015. 24. “Investigation of nickel-rare earth electrodes for sodium borohydride electrooxidation”, D.M.F. Santos, B. Šljukić, L. Amaral, C.A.C. Sequeira, D. Macciò, and A. Saccone, 226th Meeting of The Electrochemical Society, presentation 1128 of session on Electrocatalysis in Alkaline Media, Moon Palace Resort, Cancun, Mexico, October 5-9, 2014. 23. “La2NiO4 ceramic electrodes for hydrogen peroxide electroreduction”, D.M.F. Santos, N. Sousa, B. Šljukić, C.A.C. Sequeira, and F.M. Figueiredo, 226th Meeting of The Electrochemical Society, presentation 1240 of session on Electrolysis Systems, Moon Palace Resort, Cancun, Mexico, October 5-9, 2014. 22. “Borohydride oxidation at Ni-Cu nanostructured foams”, D.M.F. Santos, S. Eugénio, D.S.P. Cardoso, B. Šljukić, and M.F. Montemor, 1st Workshop on Materials Science for Energy Related Applications, Faculty of Physical Chemistry, University of Belgrade, Belgrade, Serbia, September 26-27, 2014. 21. “Novel electrocatalytic materials for direct borohydride fuel cells”, D.M.F. Santos, B. Šljukić, and C.A.C. Sequeira, Physical Chemistry 2014, 12th International Conference on Fundamental and Applied Aspects of Physical Chemistry, Rectorate of the University of Belgrade, Belgrade, Serbia, September 22-26, 2014. 20. “Carbon-supported Mo2C electrocatalysts for hydrogen evolution reaction”, L. Amaral, B. Šljukić, D.M.F. Santos, A. Stojanović, R.P. Rocha, C.A.C. Sequeira, and J.L. Figueiredo, Physical Chemistry 2014, 12th International Conference on Fundamental and Applied Aspects of Physical Chemistry, Rectorate of the University of Belgrade, Belgrade, Serbia, September 22-26, 2014. 19. “Nickel-cerium alloys for borohydride oxidation”, D.M.F. Santos, B. Šljukić, L. Amaral, D. Macciò, A. Saccone, and C.A.C. Sequeira, 224th Meeting of The Electrochemical Society, The Hilton San Francisco Hotel, San Francisco (CA), USA, October 27 – November 1, 2013. 18. “Rotating disc electrode study of the borohydride oxidation at Pt electrocatalysts”, B. Šljukić, J. Milikić, D.M.F. Santos, and C.A.C. Sequeira, HYCELTEC 2013 - IV Iberian Symposium on Hydrogen, Fuel Cells and Advanced Batteries, Estoril Congress Center, Estoril, Portugal, June 26-28, 2013. 17. “Perovskite cathodes for H2O2 reduction in borohydride fuel cells, D.M.F. Santos, T.F.B. Gomes, B. Šljukić, C.A.C. Sequeira, and F.M.L. Figueiredo, HYCELTEC 2013 - IV Iberian Symposium on Hydrogen, Fuel Cells and Advanced Batteries, Estoril Congress Center, Estoril, Portugal, June 26-28, 2013. 16. “Investigation of sodium borohydride oxidation on bulk silver electrode”, A.L. Morais, B. Šljukić, and D.M.F. Santos, Advances in Hydrogen Energy Technologies: Key to Sustainable Energy Markets, 5th International Seminar, 3rd Scientific Workshop, ISQ, Taguspark, Oeiras, Portugal, November 29-30, 2012. 15. “Investigation of carbon supported Pt and Pt alloys electrocatalysts for H2O2 electroreduction in acid solution”, A.L. Morais, J.R.C. Salgado, J.C.S. Fernandes, D.M.F. Santos, and C.A.C. Sequeira, Advances in Hydrogen Energy Technologies: Opportunities and Challenges in a Hydrogen Economy, 4th International Seminar, Escola Superior de Tecnologia e Gestão, Instituto Politécnico de Viana do Castelo, Viana do Castelo, Portugal, November 10-11, 2011. 14. “Optimisation of NaBH4/H2O2 fuel cells using Prussian Blue cathodes”, D.M.F. Santos, P.G. Saturnino, A.L.N. Morais, R.F.M. Lobo, and C.A.C. Sequeira, 9th ESEE – 9th European Symposium on Electrochemical Engineering, Panorama Hotel, Chania, Crete, Greece, June 19-23, 2011. 13. “Direct borohydride/hydrogen peroxide fuel cell”, P.G. Saturnino, D.M.F. Santos, C.A.C. Sequeira, and R.F.M. Lobo, ICEMS Workshop 2011, Anfiteatro do Complexo Interdisciplinar, Instituto Superior Técnico, Lisbon, Portugal, February 3-4, 2011. 12. “Electrocatalytic performance of Pt-RE (RE = rare earth) electrodes for hydrogen evolution in alkaline water electrolysis”, D.M.F. Santos, C.A.C. Sequeira, D. Macciò, A. Saccone, and J.L. Figueiredo, 61st Annual Meeting of the International Society of Electrochemistry, Acropolis Convention Centre, Nice, France, 26 September - 1 October, 2010. 11. “Cyclic voltammetry investigation of borohydride oxidation at a gold electrode”, D.M.F. Santos and C.A.C. Sequeira, 216th Meeting of The Electrochemical Society, Austria Center Vienna, Vienna, Austria, October 4-9, 2009. 10. “On the monitoring of the electrosynthesis of sodium borohydride”, D.M.F. Santos and C.A.C. Sequeira, HYPOTHESIS VIII - HYdrogen POwer THeoretical and Engineering Solutions International Symposium, Hotel Corinthia, Lisbon, Portugal, April 1-3, 2009. 9. “Effect of alloys modified by sodium borohydride alkaline solutions on the kinetics of hydrogen evolution reaction at Mm(Ni3.6Co0.7Mn0.4Al0.3)1.15 hydride electrodes”, D.M.F. Santos, C.A.C. Sequeira, and R.F.M. Lobo, HYPOTHESIS VIII - HYdrogen POwer THeoretical and Engineering Solutions International Symposium, Hotel Corinthia, Lisbon, Portugal, April 1-3, 2009. 8. “Determination of kinetic and diffusional parameters for sodium borohydride oxidation on gold electrodes”, D.M.F. Santos and C.A.C. Sequeira, PRIME 2008, Pacific Rim Meeting on Electrochemical and Solid-State Science, 214th Meeting of The Electrochemical Society, Hilton Hawaiian Village, Honolulu (HI), USA, October 12-17, 2008. 7. “Zinc negative electrode for direct borohydride fuel cells”, D.M.F. Santos and C.A.C. Sequeira, PRIME 2008, Pacific Rim Meeting on Electrochemical and Solid-State Science, 214th Meeting of The Electrochemical Society, Hilton Hawaiian Village, Honolulu (HI), USA, October 12-17, 2008. 6. “Electrochemical studies of sodium borohydride solutions”, D.M.F. Santos, Ciclo de Seminários de Química e Engenharia Química - DEQB 2007, Instituto Superior Técnico, Lisbon, Portugal, November 16, 2007. 5. “Chronoamperometric determination of diffusion coefficients for borohydride anions in sodium hydroxide solutions”, D.M.F. Santos and C.A.C. Sequeira, DSL-2007 - 3rd International Conference on Diffusion in Solids and Liquids, Alvor, Algarve, Portugal, July 4-6, 2007. 4. “Anodic reactions of borohydride in sodium hydroxide solutions”, D.M.F. Santos and C.A.C. Sequeira, 210th Meeting of The Electrochemical Society, Cancun, Mexico, 29 October – 03 November, 2006. 3. “Studies on sodium borohydride for energy systems”, C.A.C. Sequeira, T.C.D. Pardal, D.M.F. Santos, J.L.D. Alves, J.A.D. Condeço, M.A.W. Franco, M.C.M.R. Gonçalves, and S. Gama, 210th Meeting of The Electrochemical Society, Cancun, Mexico, 29 October – 03 November, 2006. 2. “An improved borohydride-H2O2 laboratory fuel cell”, M.A.W. Franco, D.M.F. Santos, and C.A.C. Sequeira, 210th Meeting of The Electrochemical Society, Cancun, Mexico, 29 October – 03 November, 2006. 1. “Chronopotentiometric study of the electrooxidation of borohydride anion in alkaline medium”, D.M.F. Santos and C.A.C. Sequeira, DSL-2006 - 2nd International Conference on Diffusion in Solids and Liquids, University of Aveiro, Portugal, July 26-28, 2006. 58. “An innovative electrochemical process to treat the black liquor excess in Kraft pulp mills”, R.C.P. Oliveira, M. Mateus, and D.M.F. Santos, CIÊNCIA’18 - Encontro com a Ciência e Tecnologia em Portugal, Centro de Congressos de Lisboa, Lisbon, Portugal, July 2-4, 2018. 57. “Gold-metal (Ni, Cu, Co) deposited on titanium as anode for direct borohydride-hydrogen peroxide fuel cell”, A. Balčiūnaitė, L. Tamašauskaitė-Tamašiūnaitė, E. Norkus, and D.M.F. Santos, CIÊNCIA’18 - Encontro com a Ciência e Tecnologia em Portugal, Centro de Congressos de Lisboa, Lisbon, Portugal, July 2-4, 2018. 56. “NaBH4 fuel for H2 on-demand devices”, W. Gouveia, S. Eugénio, D.M.F. Santos, and M.F. Montemor, CIÊNCIA’18 - Encontro com a Ciência e Tecnologia em Portugal, Centro de Congressos de Lisboa, Lisbon, Portugal, July 2-4, 2018. 55. “Investigation of optical and electrical properties of CIS/CIGS thin films deposited by spray pyrolysis at different annealing times”, A. Bouich, B. Hartiti, M.E. Touhami, and D.M.F. Santos, CIÊNCIA’18 - Encontro com a Ciência e Tecnologia em Portugal, Centro de Congressos de Lisboa, Lisbon, Portugal, July 2-4, 2018. 54. “Cobalt catalyst electro-regeneration for H2 on-demand in NaBH4 systems”, W. Gouveia, D.M.F. Santos, S. Eugénio, and M.F. Montemor, 3ECQUL - 3rd Meeting of the College of Chemistry of the University of Lisbon, E&E.P10, Reitoria da Universidade de Lisboa, Portugal, June 27-29, 2018. 53. “Mesoporous graphitic carbon nitride as metal nanoparticle support for design of novel electrocatalysts”, R.C.P. Oliveira, M. Sevim, B. Šljukić, C.A.C. Sequeira, Ö. Metin, and D.M.F. Santos, CarboCat VIII - 8th International Symposium on Carbon for Catalysis, Porto, Portugal, June 26-29, 2018. 52. “Studies of hydrogen peroxide for theranostic medicine using carbon-supported materials” C.A.C. Sequeira, R.C.P. Oliveira, A. Balčiūnaitė, W. Gouveia, L. Amaral, B. Šljukić, and D.M.F. Santos, CarboCat VIII - 8th International Symposium on Carbon for Catalysis, Porto, Portugal, June 26-29, 2018. 51. “Characterization of CIS and CIGS-based thin layers prepared by electroplating”, A. Bouich, B. Hartiti, K. Dakhsi, M.E. Touhami, and D.M.F. Santos, Encontro CIÊNCIA’17 - Encontro com a Ciência e Tecnologia em Portugal, Centro de Congressos de Lisboa, Lisbon, Portugal, July 3-5, 2017. 50. “Developing a novel black liquor-feed direct fuel cell”, R.C.P. Oliveira, M.J. Jeremias, M. Mateus, and D.M.F. Santos, HYCELTEC 2017 - VI Symposium on Hydrogen, Fuel Cells and Advanced Batteries, Casa Diocesana, Porto, Portugal, June 19-23, 2017. 49. “On-demand hydrogen generation with improved borohydride hydrolysis catalysis”, D.M.F. Santos, S. Eugénio, B. Šljukić, and U.B. Demirci, HYCELTEC 2017 - VI Symposium on Hydrogen, Fuel Cells and Advanced Batteries, Casa Diocesana, Porto, Portugal, June 19-23, 2017. 48. “Platinum-free electrocatalysts for borohydride fuel cells”, M. Martins, B. Šljukić, C.A.C. Sequeira, E. Kayan, T. Şener, and D.M.F. Santos, HYCELTEC 2017 - VI Symposium on Hydrogen, Fuel Cells and Advanced Batteries, Casa Diocesana, Porto, Portugal, June 19-23, 2017. 47. “Hydrogen evolution reaction at rGO-supported PdAu and PdFe alloys”, J.A.S.B. Cardoso, D.S.P. Cardoso, L. Amaral, Ö. Metin, M. Sevim, T. Sener, C.A.C. Sequeira, and D.M.F. Santos, MATERIAIS 2017 - XVIII Congresso da Sociedade Portuguesa dos Materiais, VIII International Symposium on Materials (poster A3-11), Aveiro, Portugal, April 9-12, 2017. 46. “Chemical stability of perovskites-type oxide electrodes for the ORR and HPRR in alkaline media”, N. Sousa, B. Šljukić, D.S.P. Cardoso, D.M.F. Santos, and F.M.L. Figueiredo, MATERIAIS 2017 - XVIII Congresso da Sociedade Portuguesa dos Materiais, VIII International Symposium on Materials (poster A3-15), Aveiro, Portugal, April 9-12, 2017. 45. “Monodisperse Pd Nanoparticles assembled on rGO-Fe3O4 nanocomposites as a high-performance electrocatalyst for borohydride fuel cells”, B. Sündü, M. Sevim, M. Martins, B. Šljukić, D.M.F. Santos, and Ö. Metin, Second International Hydrogen Technologies Congress (IHTEC-2017), Çukurova University, Adana, Turkey, March 15-18, 2017. 44. “Bimetallic PdM (M: Au, Fe) alloy nanoparticles assembled on reduced graphene oxide as highly efficient catalysts for hydrogen evolution reaction”, M. Sevim, J.A.S.B. Cardoso, D.S.P. Cardoso, D.M.F. Santos, and Ö. Metin, Second International Hydrogen Technologies Congress (IHTEC-2017), Çukurova University, Adana, Turkey, March 15-18, 2017. 43. “Effect of RTILs on the hydrogen evolution reaction in alkaline media”, L. Amaral, D.S.P. Cardoso, B. Šljukić, D.M.F. Santos, and C.A.C. Sequeira, 229th Meeting of The Electrochemical Society, Symposium “Hydrogen and oxygen evolution catalysis for water electrolysis 2” (poster #I03-1450), San Diego Convention Center, San Diego (CA), USA, May 29-June 2, 2016. 42. “Pt-Ni decorated metal oxide electrodes for borohydride fuel cells”, M. Martins, B. Šljukić, C.A.C. Sequeira, G.S.P. Soylu, A. Bayrakceken Yurtcan, G. Bozkurt, T. Sener, and D.M.F. Santos, 229th Meeting of The Electrochemical Society, Symposium “Heterogeneous functional materials for energy conversion and storage” (poster # I05-1570), San Diego Convention Center, San Diego (CA), USA, May 29-June 2, 2016. 41. “Gold-cobalt deposited on titania nanotubes as anode catalyst for direct borohydride fuel cells”, D.M.F. Santos, A. Balciunaite, L. Tamasauskaite-Tamasiunaite, A. Zabielait, A. Jagminien, I. Stankeviciene, and E. Norkus, 229th Meeting of The Electrochemical Society, Symposium “Heterogeneous functional materials for energy conversion and storage” (poster # I05-1572), San Diego Convention Center, San Diego (CA), USA, May 29-June 2, 2016. 40. “Evaluation of Au/Co and Au/CoB electrocatalysts in borohydride fuel cell anodes”, A. Balčiūnaitė, Z. Sukackienė, L. Tamašauskaitė Tamašiūnaitė, D.M.F. Santos, and E. Norkus, Chemistry and chemical technology 2016: International Conference of Lithuanian Society of Chemistry, poster P42, Vilnius, Lithuania, April 28-29, 2016. 39. “Multifunctional nanostructured metallic foams for energy applications”, S. Eugénio, D.M.F. Santos, N. Tuyen, U. Demirci, M.T. Silva, M.J. Carmezim, and M.F. Montemor, 2º Workshop IST-NM: Os Materiais e a Indústria Nacional, Instituto Superior Técnico, Lisboa, Portugal, September 14-15, 2015. 38. “La2MO4 ceramic electrodes for solid alkaline fuel cells”, N. Sousa, B. Šljukić, D.M.F. Santos, F.M.L. Figueiredo, Jornadas CICECO 2015: Nanotechnology… from the lab to the industry, Universidade de Aveiro, Aveiro, Portugal, April 14-15, 2015. 37. “Transition metal foam electrocatalysts for hydrogen evolution reaction”, D.M.F. Santos, S. Eugénio, C.A.C. Sequeira, and M.F. Montemor, 226th Meeting of The Electrochemical Society, poster 833 of Electrodeposition for Energy Applications Poster Session, Moon Palace Resort, Cancun, Mexico, October 5-9, 2014. 36. “Nanostructured 3D electrodes for borohydride oxidation”, D.M.F. Santos, S. Eugénio, D.S.P. Cardoso, B. Šljukić, and M.F. Montemor, 1st Workshop on Materials Science for Energy Related Applications, Faculty of Physical Chemistry, University of Belgrade, Belgrade, Serbia, September 26-27, 2014. 35. “Palladium-based electrocatalysts for direct borohydride fuel cells”, B. Šljukić, J. Milikić D.M.F. Santos, and C.A.C. Sequeira, EHEC 2014 - European Hydrogen Energy Conference, P-184, Hotel Meliá Sevilla, Seville, Spain, March 12-14, 2014. 34. “Mo2C electrocatalysts for hydrogen evolution: effect of carbon-support”, B. Šljukić, D.M.F. Santos, L. Amaral, R.P. Rocha, C.A.C. Sequeira, and J.L. Figueiredo, EHEC 2014 - European Hydrogen Energy Conference, P-199, Hotel Meliá Sevilla, Seville, Spain, March 12-14, 2014. 33. “Nickel-cerium electrodes for hydrogen evolution in alkaline water electrolysis”, D.M.F. Santos, B. Šljukić, L. Amaral, D. Macciò, A. Saccone, and C.A.C. Sequeira, 224th Meeting of The Electrochemical Society, poster 749 of Electrofuel Poster Session (also presented in the Electrochemical Energy Summit), The Hilton San Francisco Hotel, San Francisco (CA), USA, October 27 – November 1, 2013 . 32. “Optimising the cathode performance of alkaline electrolysers: Effect of temperature and electrolyte concentration”, L. Amaral, D.M.F. Santos, B. Šljukić, and C.A.C. Sequeira, HYCELTEC 2013 - IV Iberian Symposium on Hydrogen, Fuel Cells and Advanced Batteries, poster PP46, Estoril Congress Center, Estoril, Portugal, June 26-28, 2013. 31. “Carbon nanotube-supported Mo2C electrocatalysts for hydrogen production from water electrolysis”, D.M.F. Santos, B. Šljukić, L. Amaral, R.P. Rocha, C.A.C. Sequeira, and J.L. Figueiredo, HYCELTEC 2013 - IV Iberian Symposium on Hydrogen, Fuel Cells and Advanced Batteries, poster PP50, Estoril Congress Center, Estoril, Portugal, June 26-28, 2013. 30. “Perovskites as DBFC Cathodes for H2O2 Electroreduction”, T.F.B. Gomes, F.M.L. Figueiredo, and D.M.F. Santos, Advances in Hydrogen Energy Technologies: Key to Sustainable Energy Markets, 5th International Seminar, 3rd Scientific Workshop, poster P08, ISQ, Taguspark, Oeiras, Portugal, November 29-30, 2012. 29. “Hydrogen peroxide reduction on non-noble metal electrocatalysts”, T.F.B. Gomes, B. Šljukić, and D.M.F. Santos, Advances in Hydrogen Energy Technologies: Key to Sustainable Energy Markets, 5th International Seminar, 3rd Scientific Workshop, poster P09, ISQ, Taguspark, Oeiras, Portugal, November 29-30, 2012. 28. “Alternative, non-Pt electrocatalysts for O2 reduction”, B. Šljukić, J. Milikić, D.M.F. Santos, C.A.C. Sequeira, poster E-8-P, Physical Chemistry 2012, 11th International Conference on Fundamental and Applied Aspects of Physical Chemistry, University of Belgrade, Belgrade, Serbia, September 24-28, 2012. 27. “Pt-Dy cathode electrocatalysts for alkaline water electrolysis”, D.M.F. Santos, B. Šljukić, C.A.C. Sequeira, D. Macciò, A. Saccone, and J.L. Figueiredo, Zing Electrochemistry Conference 2012, Hesperia Lanzarote Hotel, Puerto Calero, Lanzarote, Spain, February 8-11, 2012. 26. “Platinum-rare earth electrodes for hydrogen production”, D.M.F. Santos, C.A.C. Sequeira, D. Macciò, A. Saccone, and J.L. Figueiredo, 9th ESEE – 9th European Symposium on Electrochemical Engineering, Panorama Hotel, Chania, Crete, Greece, June 19-23, 2011. 25. “Pt-based alloys for borohydride oxidation”, D.M.F. Santos, P.G. Saturnino, D. Macciò, A. Saccone, and C.A.C. Sequeira, 9th ESEE – 9th European Symposium on Electrochemical Engineering, Panorama Hotel, Chania, Crete, Greece, June 19-23, 2011. 24. “Cation diffusivity in nonstoichiometric tungsten trioxide films”, C.A.C. Sequeira, L.F.F.T.T.G. Rodrigues, A.L.N. Morais, and D.M.F. Santos, 9th ESEE – 9th European Symposium on Electrochemical Engineering, Panorama Hotel, Chania, Crete, Greece, June 19-23, 2011. 23. “Effect of operational parameters on the performance of direct borohydride / hydrogen peroxide fuel cells”, D.M.F. Santos, P.G. Saturnino, and C.A.C. Sequeira, 61st Annual Meeting of the International Society of Electrochemistry, Acropolis Convention Centre, Nice, France, 26 September - 1 October, 2010. 22. “Metal hydrides for hydrogen storage and distribution”, D.M.F. Santos, Y. Chen, and C.A.C. Sequeira, Hydrogen, Energy and Sustainability - Advances in Fuel Cells and Hydrogen Workshop, 3rd International Seminar of Torres Vedras, ExpoTorres, Torres Vedras, Portugal, April 29-30, 2010. 21. “Polymeric membranes for direct borohydride fuel cells: a comparative study”, D.M.F. Santos and C.A.C. Sequeira, 216th Meeting of The Electrochemical Society, Austria Center Vienna, Vienna, Austria, October 4-9, 2009. 20. “Development of a mischmetal-based hydrogen storage alloy electrode as a fuel cell anode catalyst”, Y. Chen, D.M.F. Santos, C.A.C. Sequeira, and R.F.M. Lobo, HYPOTHESIS VIII - HYdrogen POwer THeoretical and Engineering Solutions International Symposium, Hotel Corinthia, Lisbon, Portugal, April 1-3, 2009. 19. “Electrocatalytic performances of Fe-P and modified Fe-P deposited materials as hydrogen electrodes in alkaline water electrolysis”, C.A.C. Sequeira, J.R. Sousa, D.M.F. Santos, and P.S.D. Brito, HYPOTHESIS VIII - HYdrogen POwer THeoretical and Engineering Solutions International Symposium, Hotel Corinthia, Lisbon, Portugal, April 1-3, 2009. 18. “The mechanism of oxide film formation on AISI 316 stainless steel in sulphate solutions”, C.A.C. Sequeira, D.M.F. Santos, J.R. Sousa, and P.S.D. Brito, PRIME 2008, Pacific Rim Meeting on Electrochemical and Solid-State Science, 214th Meeting of The Electrochemical Society, Hilton Hawaiian Village, Honolulu (HI), USA, October 12-17, 2008. 17. “Diffusion-controlled processes in nuclear reactor oxide systems”, C.A.C. Sequeira and D.M.F. Santos, DSL-2008 - 4th International Conference on Diffusion in Solids and Liquids, Hotel Meliá Barcelona, Barcelona, Spain, July 9-11, 2008. 16. “Current-voltage measurements on indium phosphide schottky diodes”, C.A.C. Sequeira and D.M.F. Santos, DSL-2008 - 4th International Conference on Diffusion in Solids and Liquids, Hotel Meliá Barcelona, Barcelona, Spain, July 9-11, 2008. 15. “Anodic polarisation characterisation of absorbed hydrogen in modified Mm(B5)x alloys”, D.M.F. Santos, Y. Chen, and C.A.C. Sequeira, DSL-2008 - 4th International Conference on Diffusion in Solids and Liquids, Hotel Meliá Barcelona, Barcelona, Spain, July 9-11, 2008. 14. “Corrosion behaviour of Zn electrodeposits from spent Zn-MnO2 batteries”, P. Brito, L. Rodrigues, A. Oliveira, C.A.C. Sequeira, and D.M.F. Santos, poster E5, EUROCORR 2007, Freiburg im Breisgau, Germany, September 9-13, 2007. 13. “Monitoring of concrete electrochemical chloride removal (ECR)”, P. Brito, L. Rodrigues, R. Pires, M. Cunha, C.A.C. Sequeira, D.M.F. Santos, poster K2, EUROCORR 2007, Freiburg im Breisgau, Germany, September 9-13, 2007. 12. “SRET visualisation of pyrite corrosion and its inhibition in aerated solution”, L.P.S. Araújo, D.M.F. Santos, and C.A.C. Sequeira, Materiais 2007, XIII Conference of the Portuguese Materials Society, IV International Materials Symposium, Faculdade de Engenharia da Universidade do Porto, Porto, Portugal, April 1-4, 2007. 11. “Potentiometric monitoring of sodium borohydride in aqueous solutions”, D.M.F. Santos and C.A.C. Sequeira, Materiais 2007, XIII Conference of the Portuguese Materials Society, IV International Materials Symposium, Faculdade de Engenharia da Universidade do Porto, Porto, Portugal, April 1-4, 2007. 10. “Reactively deposited cobalt electrodes for hydrogen evolution in alkaline solution”, C.A.C. Sequeira, D.M.F. Santos, J.R. Sousa, and P.S.D. Brito, CIIEM2007 - 2nd International Congress of Energy and Environment Engineering and Management, HC Badajoz Center Hotel, Badajoz, Spain, June 6-8, 2007. 9. “Nickel coated electrodes for oxygen evolution in alkaline solution”, C.A.C. Sequeira, D.M.F. Santos, E. Cameron, and P.S.D. Brito, CIIEM2007 - 2nd International Congress of Energy and Environment Engineering and Management, HC Badajoz Center Hotel, Badajoz, Spain, June 6-8, 2007. 8. “Electrochemical studies on the phenol oxidation in alkaline medium”, C.A.C. Sequeira, D.M.F. Santos, and R.F.M Lobo, CIIEM2007 - 2nd International Congress of Energy and Environment Engineering and Management, HC Badajoz Center Hotel, Badajoz, Spain, June 6-8, 2007. 7. “On the features of ultramicroelectrodes”, D.M.F. Santos, R.F.M. Lobo, and C.A.C. Sequeira, DSL-2007 - 3rd International Conference on Diffusion in Solids and Liquids, Alvor, Algarve, Portugal, July 4-6, 2007. 6. “Effect of sodium borohydride on the hydrogen diffusion in MmNi3.6Mn0.4Al0.3Co0.7 hydride electrode”, C.A.C. Sequeira, Y. Chen, and D.M.F. Santos, DSL-2007 - 3rd International Conference on Diffusion in Solids and Liquids, Alvor, Algarve, Portugal, July 4-6, 2007. 5. “Células de combustível baseadas nos gases obtidos na fermentação, gaseificação ou pirólise de resíduos carbonáceos”, P.S.D. Brito, A.F. Mota, J.L. Carvalho, L.F.F.T.T.G. Rodrigues, D.M.F. Santos, D.B. Barrio, D.M. Justo, and C.A.C. Sequeira, CIIEM - 1st International Congress of Energy and Environment Engineering and Management, Escola Superior de Tecnologia e Gestão, Instituto Politécnico de Portalegre, Portalegre, Portugal, May 18-20, 2005. 4. “Mediated and non-mediated electrochemical oxidation of isopropanol”, C.A.C. Sequeira, D.M.F. Santos, and P.S.D. Brito, CIIEM - 1st International Congress of Energy and Environment Engineering and Management, Escola Superior de Tecnologia e Gestão, Instituto Politécnico de Portalegre, Portalegre, Portugal, May 18-20, 2005. 3. “Synthesis of sodium borohydride in alkaline medium and its relevance to energy systems”, D.M.F. Santos, J.L.D. Alves, S. Gama, T.C.D. Pardal, and C.A.C. Sequeira, Materiais 2005 - XII Portuguese Materials Society Meeting, III International Materials Symposium, University of Aveiro, Aveiro, Portugal, March 20-23, 2005. 2. “Effects of temperature on the performance of the MmNi3.6Co0.7Mn0.4Al0.3 metal hydride electrode in alkaline solution.”, C.A.C. Sequeira, Y. Chen, D.M.F. Santos, and J.I.P. Martins, Materiais 2005 - XII Portuguese Materials Society Meeting, III International Materials Symposium, University of Aveiro, Aveiro, Portugal, March 20 - 23, 2005. 1. “Ring-disc studies of oxygen reduction at lanthanum calcium manganate in alkaline medium”, C.A.C Sequeira, D.M.F. Santos, and W. Baptista, DSL-2005, 1st International Conference on Diffusion in Solids and Liquids, University of Aveiro, Aveiro, Portugal, July 6-8, 2005. - Editor-in-chief of Science and Technology of Materials (Elsevier) since 2015. - Associate Editor of RSC Advances (Royal Society of Chemistry) (2015-2017). - The Electrochemical Society (ECS) – member since 2006. - Royal Society of Chemistry (RSC) – member in 2016-2017. - International Society of Electrochemistry (ISE) – member in 2010-2012. - International Association for Hydrogen Energy – member since 2011. - American Chemical Society (ACS) – member in 2010-2012. - Sociedade Portuguesa de Materiais (SPM) – member since 2010. - Sociedade Portuguesa de Química (SPQ) – member in 1999-2001. - Honorary Fellow of the Australian Institute of High Energetic Materials – fellow since 2010. ©2018, Instituto Superior Técnico. Todos os direitos reservados.